Lifeguard – a life savior – needs to undergo some heavy training before becoming a practicing lifeguard. This is so because he is entrusted with the responsibility of saving the lives of millions of people who come to pools, oceans and beaches. It is therefore essential for the lifeguards to go through rigorous training so that during their training period they can prepare themselves to fulfill their future duties in a proper way. In most cases, it is observed that people who like to become lifeguards have already taken some sort of basic training that includes swimming, first aid, CPR and so on. However, proper lifeguard training is a must if you want to become a lifeguard. Special emphasis is put on the ability and skills of swimming because after all that is the most challenging part of the job. Anyone who knows swimming cannot become a lifeguard. 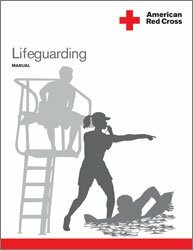 One has to go through proper training and attain lifeguard certification to be able to become a professional lifeguard. So, during the period of training, the lifeguards are not only trained to improve and polish their first aid responses and CPR skills, but at the same time, they are also taught rescue skills and protocol that includes the drowning chain. Inability to cope – Not all the swimmers that come for swimming to the beach are experienced. Most of them have very little experience of swimming in oceans and seas. For this reason, there are chances that they would become victim to aquatic dangers such as rip currents and drowning. When an inexperienced beachgoer will face an aquatic danger, he would obviously panic and lose his ability to think. This will further lead to his inability to cope with the prevailing danger. Lack of education – Those people who are inexperienced are the ones who are the most at risk. The reason is simple – their lack of education to deal with the unpleasant or hazardous situations that may occur when they are swimming. They are unable to figure out the kinds of dangers they could experience when swimming in the ocean or doing any activity in the water, like water surfing. Therefore, they end up putting their lives in danger. Lack of protection – Most mishaps that occur are due to the lack of protection. Lack of protection means the lack of proper swim attire and flotation devices that protect swimmers from expected ocean hazards. Lack of safety advice – When there is a lack of safety advice, then the lives of the inexperienced beachgoers is at risk. Thus, the presence of lifeguards is always very important. It is the duty of the lifeguard to keep a watch on the people at the beach and to make them aware of the dangers and risks. They are even responsible to convey them where safe spots are located, so that peoples’ lives are free of risks. Lack of supervision – in most cases, it is seen that people tend to overestimate their ability to swim. As a result of this, they would swim without supervision and put themselves in danger. Thus, supervision is necessary! Lifeguard training is important so that the future lifeguards must know what their responsibilities are and how those responsibilities should be fulfilled. This will ensure the safety of those who go to beaches, oceans and pools for swimming.